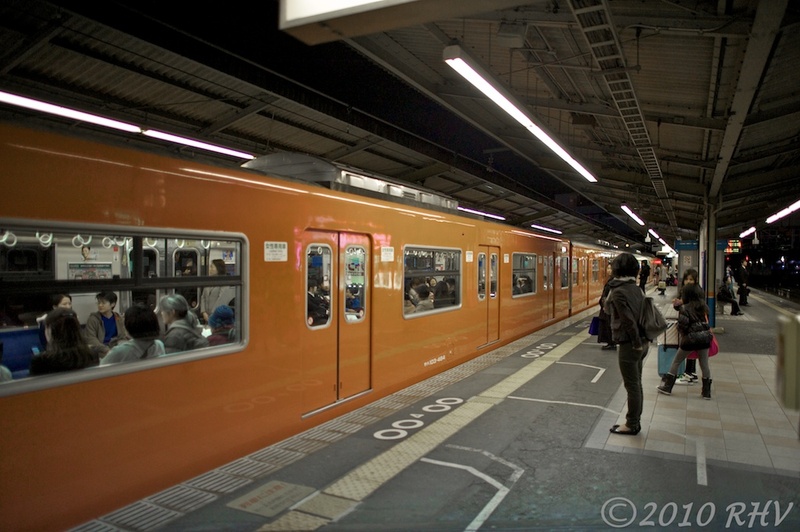 Random scenes of trains in Japan. 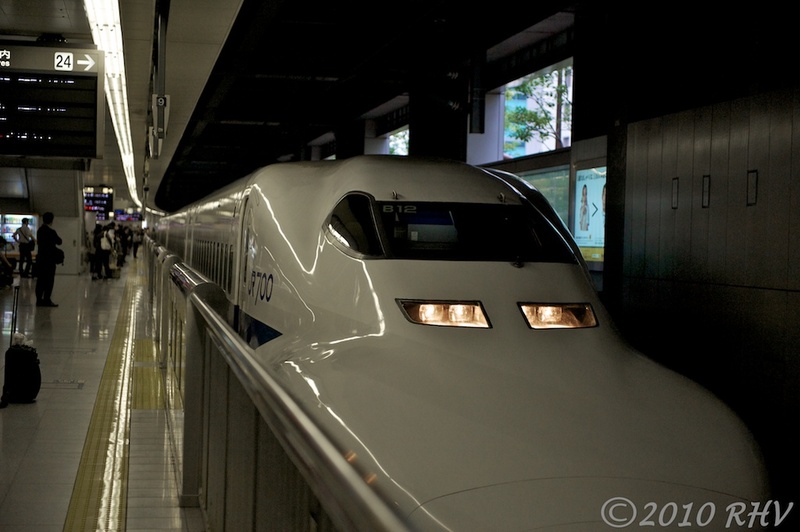 Shinkansen train at Shinagawa Station. 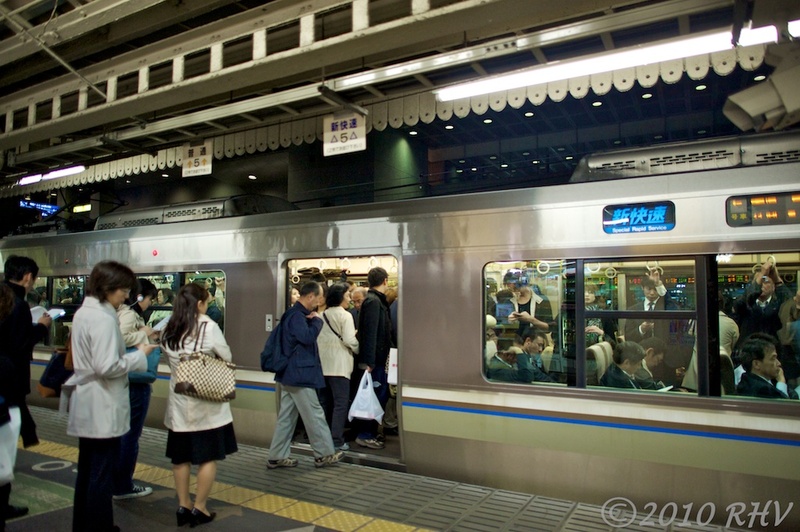 One thing about Japan, there are plenty of trains to look at. From quaint narrow gauge systems that take you up into the mountains to the very latest “Bullet Trains”, one is never bored looking at and shooting trains. And people that are naturally found around train stations. These photos were taken earlier this year and are good examples of addressing perspective. By virtue of their length and narrow footprint, trains naturally draw your attention to the subject of your photos. When shooting trains, quickly figure out the subject of the shot and use the train’s vanishing point to focus attention on the subject. Of course, the same goes for any scene with strong bold lines. 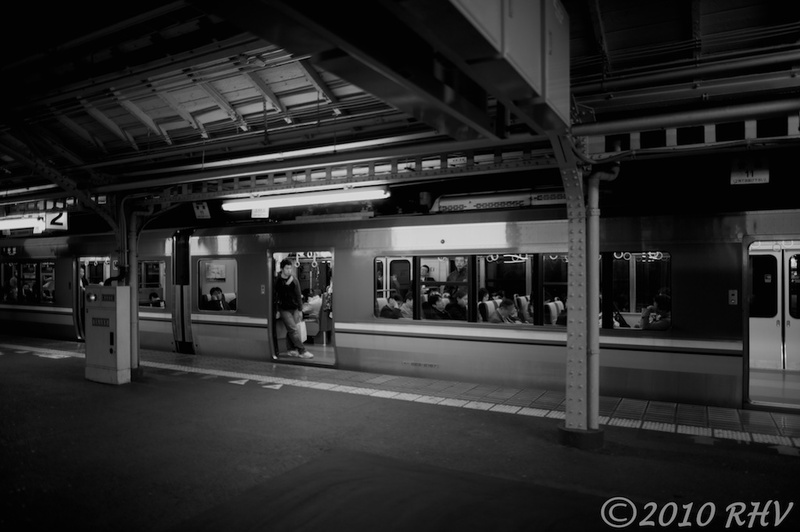 All photos were shot with a Nikon D700 and Nikkor AFS 24mm f/1.4 lens or Nikkor AFS 24-70mm f/2.8 zoom lens. 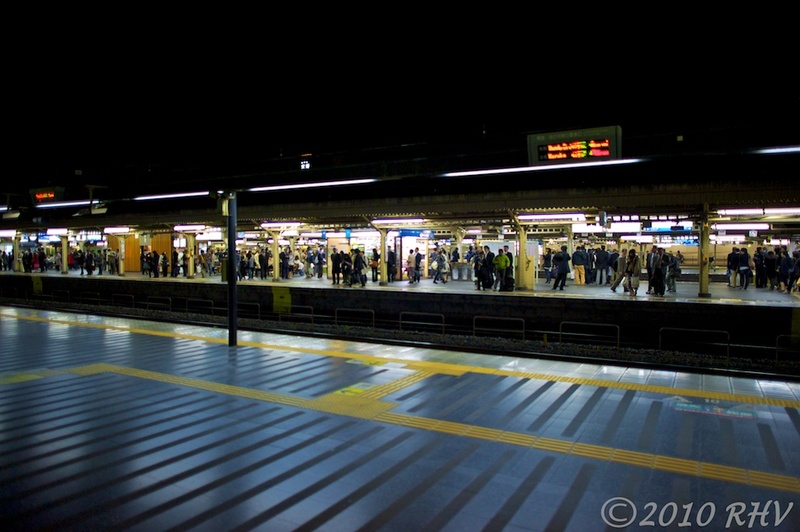 Osaka train station with waiting woman. Trains, lines, columns and rafters.